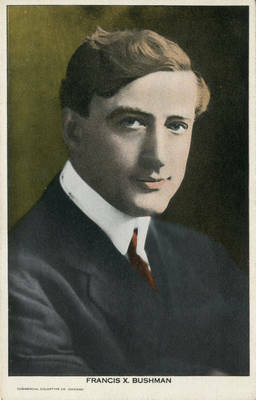 Actor Francis X. Bushman. One of the souvenir postcard used to publicize motion picture actors and actresses, 1910-1915. BW photograph [tinted], 3.5" x 5.5"